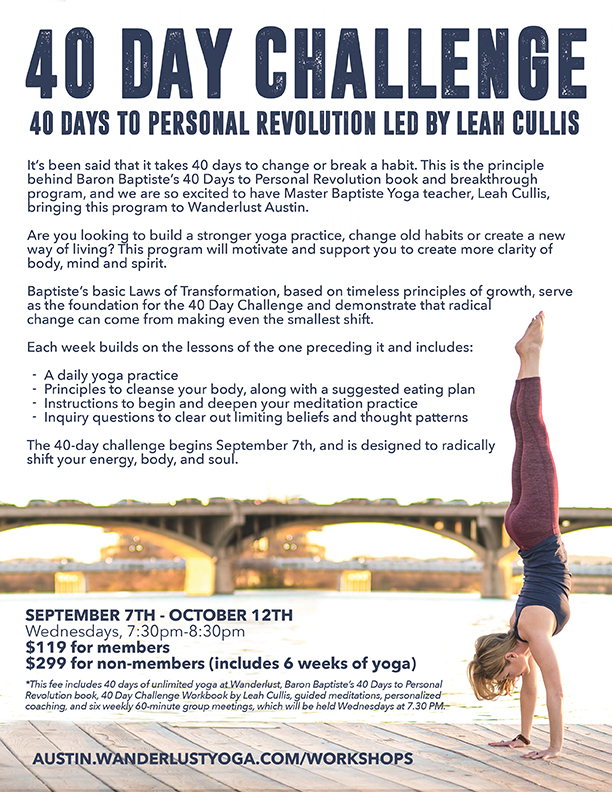 It’s been said that it takes 40 days to change or break a habit. 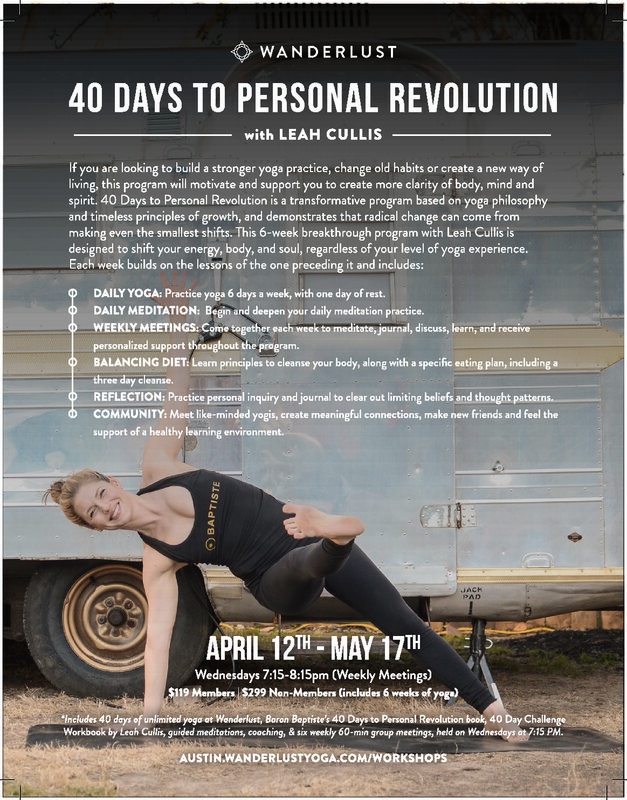 This is the principle behind Baron Baptiste’s 40 Days to Personal Revolution book and breakthrough program, and we are so excited to have Master Baptiste Yoga teacher, Leah Cullis, bringing this program to Wanderlust Austin. 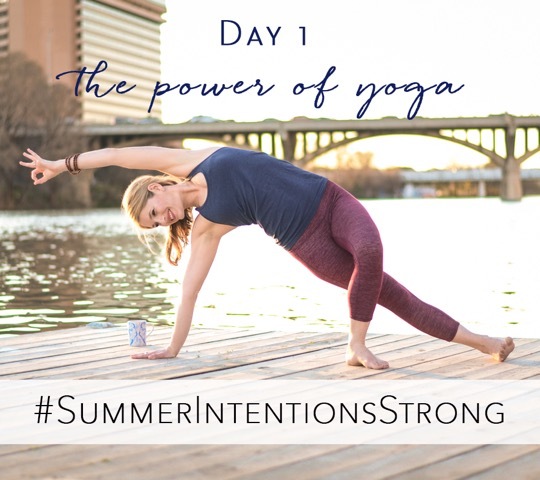 In the Pillars of Power Yoga course with Leah Cullis you will spend five weeks transforming your life through the tools of yoga including meditation, asana and inquiry. 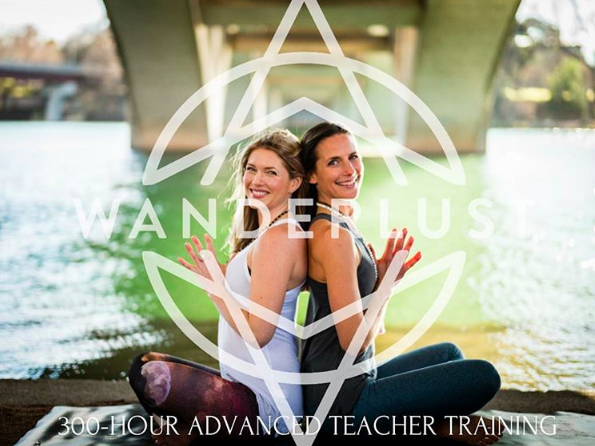 Centered around the Five Pillars of Baptiste Yoga, you will study: focus, breath, foundation, heat and finally flow. 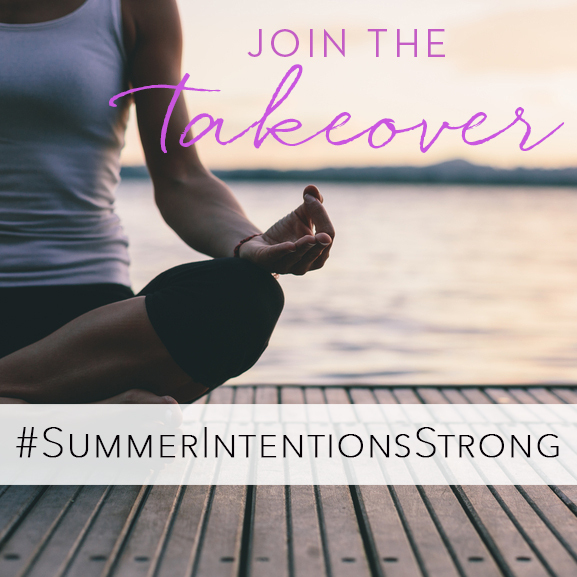 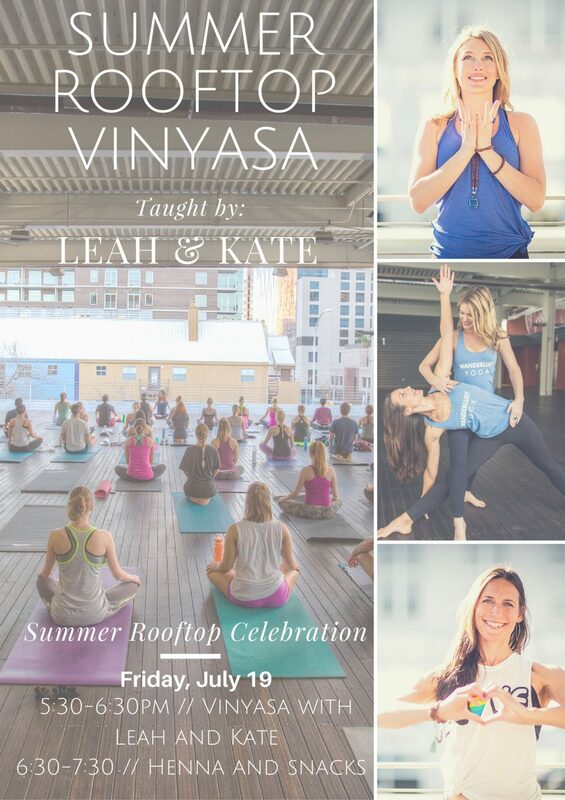 Summer Rooftop Celebration at Wanderlust Yoga Austin 5:30-6:30pm // Vinyasa with Leah and Kate 6:30-7:30 // Henna and snacks Vinyasa + Henna + Snacks & more!